Foundation Repair Company Los Angeles | Why Choose Alpha Structural? For over 25 years now, Alpha Structural, Inc. has developed a powerful reputation as the #1 Foundation Engineering and Repair, Landslide Repair, Earthquake and Structural Rehabilitation Contractor in the Los Angeles area. We have over 200 years of combined technical experience and all of it is hard-core and down-in-the-trenches, not managed from behind a computer. Our in-house engineers and technicians are among the most experienced in all of Southern California. If that’s not enough for you, here are just a few more reasons why you should choose us for your all your foundation needs. Alpha Structural, Inc. is a recognized leader in the engineering and construction of foundation and hillside repairs. Having built many custom hillside homes in the 1980s, David Tourjé, the Owner and Chief Executive Officer of the company, decided to specialize in foundation and hillside repairs due to the increasing demands for this type of work. If you or your friends have been victimized by contractors in the past, give us the chance they don't deserve. We're up-front and honest. We won't try and sell you work you don't need, just what needs to be done. We'll show up to your appointment with references and real client testimonials so you know we're not just "smooth talkers". We have inspected over 15,000 properties and fixed over 5,000 in over 20 years! There is virtually no one with that record except Alpha Structural, Inc.
We've gotten where we are today by understanding that gaining the client's respect and trust is done by doing the right thing for the client - always. 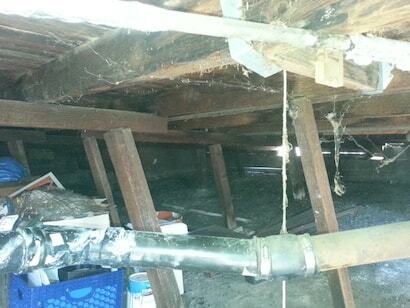 That is why we're one of the most referred Los Angeles foundation repair contractors. We're the ONLY company in the Los Angeles area licensed to ENGINEER and BUILD any type of repair project. What does this mean? You'll work with us through the whole project, not unknown sub-contractors that you didn't hire and cannot control or predict. We can custom design the exact right solutions for you and your budget, whatever that is. We'll help you to find the right balance of achieving your goal and cost. We can custom design the exact right solutions for you and your budget, whatever that is. We'll help you to find the right balance of achieving your goal and cost. What class of license do they have? An "A" licensed General Engineering Contractor is mandatory in the case of most structural repairs involving foundation or hillside work. Is it the needed license for the work involved? Do they get permits for the work they do? Have they done this type of project before? Have they done this type of project before often? Do they have references for this type of work? Do they give you a comprehensive estimate that includes line items of the proposed work? Are they professional in appearance and manner? Are you satisfied that they have gotten to the bottom of the entire problem that needs to be addressed? Do the solutions they propose make complete sense to you? This home had every post and cripple wall (short framed walls from the foundation to the first floor framing) leaning so significantly we told the homeowner we would immediately shore the home to prevent it from falling. The home owner didn’t do that. Instead she went with another foundation repair company (not properly licensed) to correct the foundation. Six months later… the house fell which made in into the news. This is a perfect example as why it is extremely important to make sure that the foundation repair company you hire is properly licensed, insured and has the expert experience to ensure a safe and effect foundation repair or replacement.